THOSE THAT ARE FAMILIAR WITH MY WRITINGS ABOUT GOLD AND SILVER for the last six years know that I have said gold was cheap at $500, $600, $700, $800, $1000 and $1,200 a troy ounce and know that I have said silver was cheap at $11, $12, $14, $16, $25, and $30 a troy ounce. Today, I will reiterate that gold is still cheap in the $1500 to $1600 range and that silver is still cheap in the $40 range because the largest movements in gold and silver prices as well as gold and silver mining stocks have still not happened and will materialize over the next four to five years. Again, this doesn’t mean that gold and silver can’t or won’t correct or consolidate again in the future because both PMs always do. I have written publicly so much about this topic over the years (and even in much greater depth to my subscribing members) because I truly believe it is insanity not to participate in one of the best ways to invest in gold and silver today – the ownership of physical gold and physical silver. Hundreds of millions of investors worldwide, influenced by the propaganda of Western bankers, have consciously made poor decisions not to own a single ounce of physical gold and physical silver today. One of the first realities an investor must understand about the gold and silver market is that the Economics 101 concept of price being set by physical supply and physical demand is an utter lie. In today’s world of banking and financial industry lies, the price of gold and silver are NOT set by the physical demand and physical supply of either of these metals, but rather by the artificial supply and demand of paper contracts predominantly backed by no physical metal. Thus, one can see that the fraud perpetrated by bullion banks in the silver futures market exceeds even the fraud they commit in the gold futures markets. Take the figures provided above, and a quick calculation reveals that bankers were trading nearly 160 times of paper ounces of silver every year than the annual physical supply of silver mined from the earth. However, break down these numbers even more and the fraud becomes even more astounding. While in 2000, about 628 million ounces of new supply of physical silver came to market, in 2010, mine production of new silver supply was slightly higher at 735.9 million ounces. Net government sales accounted for another 44.8 million ounces, old silver scrap provided an additional 215 million ounces, and producer hedging accounted for the final 61.1 million ounces. Thus a total annual supply of roughly 1 billion ounces of silver existed in 2010. However, industrial usage, photography and jewelry used up nearly 78% of the one billion ounces of physical silver supply in 2010 and left less than 100 million ounces available for minting in the form of silver coins. (Source: The Silver Institute). THIS MOVIE, ON THE SUBJECT OF THE CAUSES OF THE FINANCIAL CRISIS, was produced in Sweden by Henrik Devell, directed by Martin Borgs, and narrated by Johan Norberg, a Senior Fellow at Cato Institute, and a prominent libertarian and frequent guest on Stossel. It is very professionally done and entertaining. You can see it right here on The Daily Capitalist Theater. Turn your video setting up to 720p. It is a feature length film, 46 minutes, so sit back and enjoy it. When the world’s financial bubble blew, the solution was to lower interest rates and pump trillions of dollars into the sick banking system. “The solution is the problem, that’s why we had a problem in the first place”. For Economics Nobel laureate Vernon Smith, the Catch 22 is self-evident. But interest rates have been at rock bottom for years, and governments are running out of fuel to feed the economy. “The governments can save the banks, but who can save the governments?” Forecasts predict all countries’ debt will reach 100% of GDP by next year. Greece and Iceland have already crumbled, who will be next? The storm that would rock the world, began brewing in the US when congress pushed the idea of home ownership for all, propping up those who couldn’t make the down payments. The Market even coined a term, NINA loans: “No Income, No Assets, No Problem!” Enter FannieMae and FreddieMac, privately owned, government sponsored. “Want that vacation? Wanna buy some new clothes? Use your house as a piggie bank!” Why earn money to pay for your home when you can make money just living in it? With the government covering all losses, you’d have been a fool not to borrow. The years of growth had been a continuous party. But when the punchbowl ran dry, instead of letting investors go home to nurse their hangovers as usual, the Federal Reserve just filled it up again with phoney money. For analyst Peter Schiff, the consequence of the spending binge was crystal clear: “we’re in so much trouble now because we got drunk on all that Fed alcohol”. Yet along with other worried experts, he was mocked and derided during the boom. Have you taken out a mortgage, invested capital or bought shares? If you have, likelihood is you lost out in the latest bust. 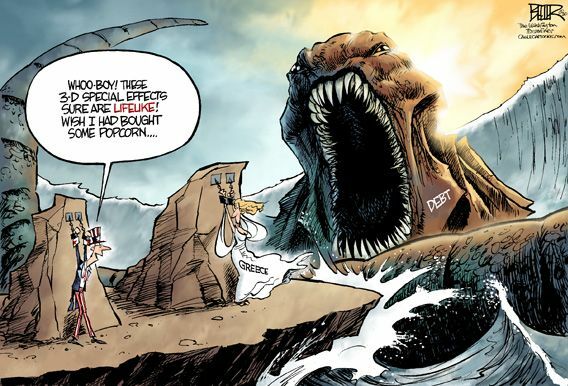 Governments promised decisive action, the biggest financial stimulus packages in history, gargantuan bailouts: but what crazed logic is this, propping up debt with…more debt? This documentary brings an entirely fresh voice to the hottest topic of today. 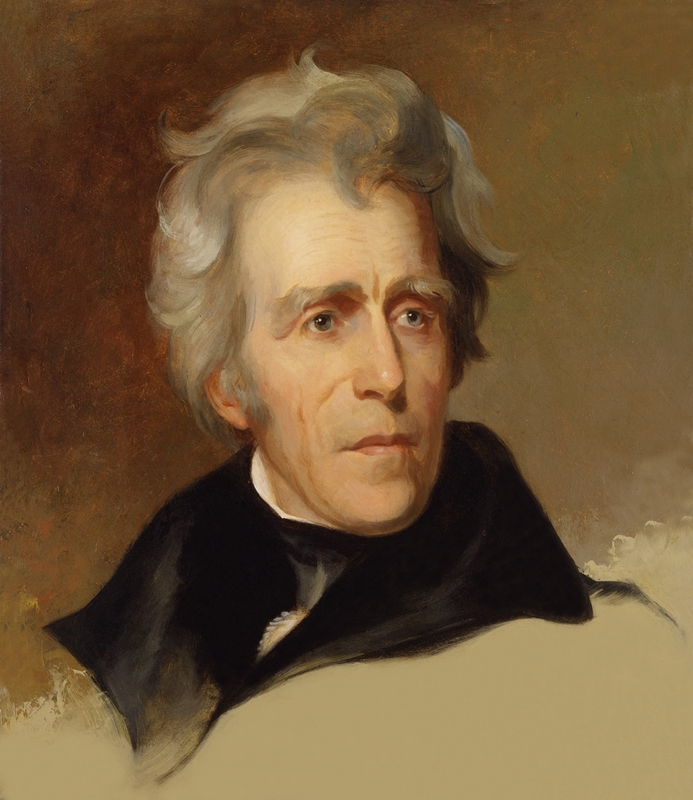 Andrew Jackson: “The paper system being founded on public confidence and having of itself no intrinsic value, it is liable to great and sudden fluctuations, thereby rendering property insecure and the wages of labor unsteady and uncertain. The corporations which create the paper money can not be relied upon to keep the circulating medium uniform in amount. In times of prosperity, when confidence is high, they are tempted by the prospect of gain or by the influence of those who hope to profit by it to extend their issues of paper beyond the bounds of discretion and the reasonable demands of business; and when these issues have been pushed on from day to day, until public confidence is at length shaken, then a reaction takes place, and they immediately withdraw the credits they have given, suddenly curtail their issues, and produce an unexpected and ruinous contraction of the circulating medium, which is felt by the whole community. The banks by this means save themselves, and the mischievous consequences of their imprudence or cupidity are visited upon the public. Nor does the evil stop here. These ebbs and flows in the currency and these indiscreet extensions of credit naturally engender a spirit of speculation injurious to the habits and character of the people. We have already seen its effects in the wild spirit of speculation in the public lands and various kinds of stock which within the last year or two seized upon such a multitude of our citizens and threatened to pervade all classes of society and to withdraw their attention from the sober pursuits of honest industry. POSSIBLY THE ONLY THING WORSE THAN HAVING a serious problem on your hands is when you clearly do not understand the problem. You ignore the data and find an easy scapegoat for why the problem is temporary and will pass. The slowdown in the US economy is not transitory as the Fed chairman states. Hopes for 3-4% GDP growth in the second half of 2011 are simply that, hope. The earthquake in Japan, the third largest economy, occurred two months before US economic data began slowing sharply. It is easy to say that must be the cause. It is far harder to blame failed policies for that involves being honest with oneself. Accepting failure is everyone’s Achilles’ heel. Something few can overcome. What is most disturbing about the failed policies of the Federal Reserve and Federal Government are the millions of Americans suffering when they do not have to. With one in seven Americans on food stamps, one in five unemployed or under employed, 28% of mortgages underwater, do leaders truly think we are this naive and that recovery is underway? In a recent survey 48% of Americans feel we are already in a depression, forget recession. Regardless of what the NBER says or measures of real GDP, something easily manipulated through the deflator, it feels and therefore it is a depression. Food prices are rising. It costs more to fill up our gas tank. Walmart and countless other low cost stores bare witness to the modern day bread line. If the US government reduced spending by 40% today, right this second, we still could not put a dent in a $12 trillion national debt, closer to $70 trillion when factoring in unfunded liabilities. The government nearly shut down in May as leaders tried to agree on 1% in budget cuts later found to be a pure accounting scheme. All is not well in the US economy and a recovery is not and has not begun. Trillions have been spent since 2008 and we have nothing to show for it. Ask a child wearing a red shirt what color their shirt is. They will shout red. Ask that same question to an adult and they will hesitate, afraid to answer the most obvious question out of fear they are being set up. As adults we seem to lose the ability to see the obvious. We live in constant fear of being wrong, being judged by others for our inadequacies. Rather than focus on the task at hand we focus on the failure. The safety of going along with the group outweighs the truth we see with our own eyes. Ask a fund manager with $5 billion in assets under management (AUM) if the economy is recovering and they will say yes. They will say this soft patch is transitory, it is a function of Japan and the revolution in MENA (Middle East and Northern Africa). They will tell you Greece is contained. They will tell you housing is bottoming. They will tell you stocks are cheap. Do they believe that? Aside from group think I certainly hope not but if the group says that red shirt you are wearing is in fact blue, well dammit, that shirt is blue. No one believes they are a lemming, that they are part of the herd. The word sheeple does not include them. Then why does history always show the majority to be wrong? As the market rolls over investors are beginning to question the color of that shirt. Perhaps it is red after all. The Federal Reserve has a horrible record at economic forecasting, absolutely horrid yet with each new forecast we are expected to believe “this time it is different.” With each passing day more data tells us they are wrong yet again. As investors we must be diligent in our work, diligent in understanding the issues. We must think for ourselves, beyond the noise, beyond the pressure to conform. Now is the time to have courage in our convictions. His apparent belief that this soft patch will pass. That with more time structural changes in our economy will fix themselves. That the answer to debt is more debt. In the words of Helen Keller his sight makes him a very dangerous man. Bonds forecast, equities confirm. Bonds have spoken. Equities are finally listening. For nearly 30 years we have had two Global Strategies working in a symbiotic fashion that has created a virtuous economic growth spiral. Unfortunately, the economic underpinnings were flawed and as a consequence, the virtuous cycle has ended. It is now in the process of reversing and becoming a vicious downward economic spiral. 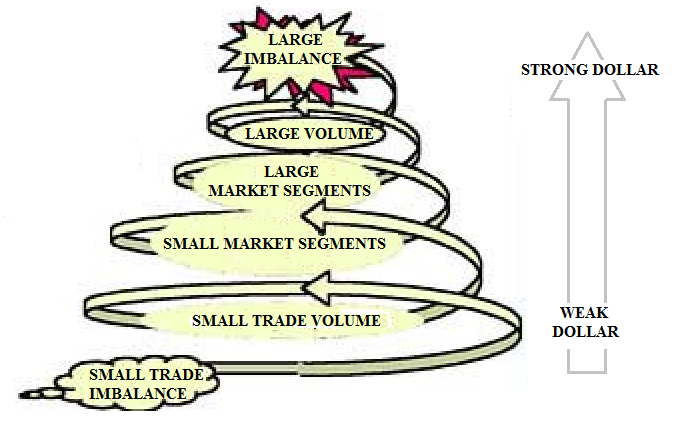 One of the strategies is the Asian Mercantile Strategy. The other is the US Dollar Reserve Currency Strategy. These two strategies have worked in harmony because they fed off each other, each reinforcing the other. However, today the realities of debt saturation have brought the virtuous spiral to an end. One of the two global strategies enabled the Asian Tigers to emerge and grow to the extent that they are now the manufacturing and potentially future economic engine of the world. The other allowed the US to live far beyond its means with massive fiscal deficits, chronic trade imbalances and more recently, current account imbalances. The US during this period has gone from being the richest country on the face of the globe to the biggest debtor nation in the world. First we need to explore each strategy, how they worked symbiotically, what has changed and then why the virtuous cycle is now accelerating into a vicious downward spiral. The Asian Mercantile Strategy started with the emergence of Japan in the early 1980s, expanded with the Asian Tigers in the 90s and then strategically dominated with China in the first decade of this century. Initially, Japan’s products were poor quality and limited to cheap consumer products. Japan as a nation had neither the raw materials, capital markets, nor domestic consumption market to compete with the giant size of the USA. To compensate for its disadvantages, Japan strategically targeted its manufacturing resources for the US market. By doing this, the resource poor island nation took the first step in becoming an export economy – an economy centered on growth through exports versus an economy like the US, where an excessive 70% of GDP is dependent on domestic consumption. The strategy began to work as Japan took full advantage of its labor differential that was critical in the low end consumer product segment, which it initially targeted. Gradually, as capital availability expanded, Japan broadened its manufacturing scope, moving into higher levels of consumption products requiring higher levels of quality and achieving brand recognition. Success soon became a problem as the Yen began to strengthen. To combat this the Japanese implemented the second critical component of what became the Asian Mercantile Strategy template. It began to manipulate its currency by aggressively intervening in the forex market to keep the yen weak. Further success forced Japan to move to a more aggressive forex strategy to maintain a currency advantage. It was strategically decided that Japan’s large and growing foreign reserves were to be re-invested back into the US. By buying US Agency and US Treasury debt instruments it kept the dollar strong relative to the Yen. The more successful Japan became, the more critical this strategy became. In the 80s Japan dominated global expansion as it brought US automotive and consumer electronics’ manufacturing to its knees. By the early 90s the Japanese labor advantage was quickly being lost to the Asian Tigers because the Yen versus the Asian Tiger currencies was too strong. The Asian Tigers were following the Japanese model. The Asian Crisis in 1997 re-enforced to all Asian players the importance of holding large US dollar denominated reserves. This further accelerated and reinforced the strategy of purchasing US Treasury and Agency debt. With China’s acceptance into the World Trade Organization (WTO), China emerged on the scene in full force. Armed with the lessons of the last twenty years, China took the Asian Mercantile Strategy to another level in its ongoing evolution. The results were one of the largest and fastest transfers of industrial power ever to occur in history. In ten years, China assumed the role of the world’s undisputed industrial powerhouse in the world. The virtuous cycle further accelerated as Asia became more dominant because its reserves, reinvested back in the US, began to have a larger and larger impact. The more Asia bought US Treasury and Agency debt, the lower US interest rates were forced, allowing Americans to finance more and more consumption. The more Asia bought US securities, the stronger the US dollar was against Asian currencies, and therefore the cheaper Asian products were relative to US manufactured products. It was a self reinforcing Virtuous Cycle. The result was a staggering 46,000 factories transferred from the US to Asia over the same ten year period. The transfer set the stage for chronic unemployment and public funding problems, but it was temporarily hidden by equally massive increases in debt spending. MY LAST PREDICTIONS HERE COULD LOOSELY BE summarized as follows: “Why what should happen probably won’t because they’ll do whatever it takes to achieve their outcomes…” The recent replay of the 1980 Silver Heist, with its curiously-timed margin hikes, reinforces the suspicion that Their playbook hasn’t changed in the interim. I reference it only because it appears that the powers that be are about to enter another phase during which they’ll need to work their old plays aggressively. As I survey the sphere, I see something resembling reality attempting to intrude upon the farcically engineered state of stock-market utopia that’s been presented for our consumption by the ever-reliable mainstream media (MSM). I feel embarrassed to write this, but is it still possible that a correction could be allowed to occur? It certainly seems overdue. Dig around a little and you’ll find that the GDP is closer to 0.5% – and likely on its way to below zero in real terms if you strip out all of the government life-support contributions and tune out the illusions. I can no longer enthusiastically offer economic and market prognostications as I once did. Doing so seems as pointless as the staged events and staged reforms that will surely follow. The reason? Dark clouds. These are what preoccupy me almost exclusively, for they figuratively represent one of the most important questions of these times. We and many at other forums and alternative-media sites, know They cheat. We also know, in many cases, how egregiously They cheat. So, what are we going to do about it? All of us should now know that we wake up every day, consumers of a fraud slickly packaged by the MSM. Economist Paul Craig Roberts quit attempting to bring the truth to light after decades of failed efforts that he ultimately described as futile. He said the American public was not able to believe their own eyes, ears and minds. So where does that leave us? At the moment, we are prisoners laboring in futility. Hyperbole? Not at all. The Powers That Be could change the rules at any time, altering property rights and basic freedoms as they are wont to do – and which they will soon find themselves needing to do radically. Check out the new and improved Patriot Act to get a sense of where things are headed. An historically unprecedented mess has been created by compromised central bankers and inept economic advisors, whose interference has irreversibly altered and damaged the world financial system, urgently pushed after the removed anchor of money to gold. IT IS NOT CLEAR WHETHER THE AMERICAN FINANCIAL COMMUNITY HAS THE ABILITY to observe and conclude that the US Federal Reserve is adrift and relies upon deception as policy in revealing its directions. Its position is to hold steady, inflate to oblivion, support financial markets in heavy volume secretly, and lie about leaving its trapped policy corner. The USFed is a propaganda machine that deals with ruses as a substitute for transparent policy discussion in the public forum. Two years ago the ruse disseminated widely was the Green Shoots of an economic recovery that had no basis at all. The scorched earth showed more evidence of ruin than fresh business creation, at a time when the grotesque insolvency was spreading like a disease throughout the entire US financial system. On one hand the USFed was busy operating numerous credit and liquidity facilities in order to prevent systemic seizure, busily redeeming the Wall Street toxic bonds at the highest possible prices. On the other hand they were talking about Green Shoots, as insolvency spread across the big banks to the household equity. They lost their credibility in the process. They have lost it completely after two full years of 0% rates, the ultimate in central bank shame. The Jackass dismissed the Green Shoots ploy quickly, regularly, and correctly, as whatever little shoots showing were probably mistaken for some toxic green runoff from a nearby financial office of a corporation. One year ago the ruse disseminated widely was the Exit Strategy from the 0% monetary corner that had no basis at all. The USFed was well aware that 0% as an official rate was untenable, dangerous, and would produce different maladies. They promoted a phony story of a Jobless Recovery, an utter contradiction and bad joke played upon the American workers. To make the cost of money free encourages speculation in the most general systemic sense. The primary gold market fuel is the price of money being far below the current price inflation rate. Anyone who believes the CPI is actually 2% to 3% is braindead. Even USGovt statistics list the numerous categories with strong price increases, yet the overall CPI is lower than all components. Power to adjustments. My description has been that the USFed is stuck in the 0% policy corner. The corner has been described since the start of 2009 when it was instituted. If the USFed raises rates, they torpedo the housing market left as derelict adrift at sea, listing badly, taking on more water, weighed down by the inventory burden. Given that the USEconomy was so dependent upon housing for three or four years, and that dependence has turned to deep vulnerability, they cannot hike interest rates and exit the policy corner without sending home prices into a fast acceleration downward. They will bottom out 20% to 30% below construction costs. Worse, a rate hike would trigger a credit derivative series of explosions from the Interest Rate Swaps. These queer devices hold down long-term rates far below the prevailing price inflation level. That is why the USFed Chairman Bernanke insists on an undying focus of the inflation expectations, the USTreasury Bond yields and TIPS yields (both of which they purchase in monetization operations). They control them using IRSwaps. If the USFed holds steady, as they must, they generate significant rising costs for everything from food to energy to metals to cotton. Even scraps (paper, metal, plastics) are rising in price. Even the toys sector must contend with fast rising prices in time for the Christmas season. See the Li & Fund effect, also called Foxconn in China. They also make i-Pods. The current path lifts the cost structure to such a level that both businesses and households are experiencing a pinch. The fast collapse of the Philly Fed index is testament to the pinch. Shelves at major retail chains are experiencing a slow decline in volume. It is called the profit squeeze. Business profit margins are shrinking, even as household discretionary spending funds are shrinking. The Jackass dismissed the Exit Strategy ploy quickly, regularly, and correctly, as the monetary policy corner was described consistently and clearly. It was a bluff, but a very bad one. The savvy analysts did not fall for it, since the consequences of ending the 0% rate would be like turning the lights off for the entire USEconomy. The USFed is caught in a gigantic bind, cannot raise rates, and must endure the global price inflation problem that festers on the cost side of the equation. They busily deny their role in producing price inflation from debt monetization coupled with 0% rates. They lost more credibility in the process. They are the object of global anger and ridicule. They must hope that the eventual rate hike will keep the speculative juices from overflowing. Gold & Silver do not rest, as they brush aside such a plain ruse of a threatened rate hike. The sovereign bond situation in the entire Western World (with Japan adopted into the fold) is horrendous and worsening. The government deficits are out of control. Few analysts prefer to point out how the foundation for the global monetary system is supported by the gaggle of crippled sovereign bonds. To be sure, the Southern Europe debt is in a ruined state. But the debt of the United States is no better and the same for England, when viewed as annual debt ratio to total budget, when viewed as cumulative debt ratio to GDP (economic size). The graph below shows those two dimensions, and how the United States and United Kingdom are positioned among Spain, Ireland, and Greece, apart from the mass of nations. In the full year since this graph was produced, the US debt situation has grown worse. The reckless socialists seem prudent. 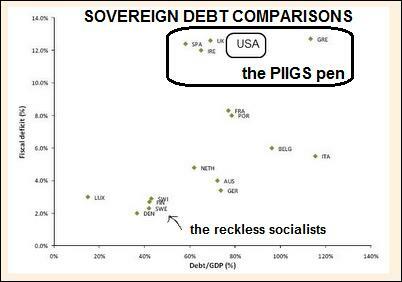 The extended PIIGS pen of nations, fully ruined and recognized widely as ruined, do not have the tools to prevent rising bond yields. They uniformly rise versus the German Bund benchmark. Their differentiation actually permits the Euro currency to trade more freely, even to rise. The Chinese were responsible for much of the Euro rise from 130 to 150, as they dumped USTBonds in favor of discounted PIGS debt, later to be converted into shopping malls, commercial buildings, and factories. Somehow, that factor did not appear on the US news networks. The USGovt has tools, wondrous electronic tools, which enable them at zero cost to fight off the barbarians at the gate. It is the Printing Pre$$. Unfortunately, its backfire is a powerful rising cost structure that has shown visibly in the high food & gasoline costs. So hardly at zero cost!! A year ago, the USFed folded like a cheap lawn chair. Instead of exiting their 0% corner, and implementing the advertised Exit Strategy, they went one step deeper down the rathole. 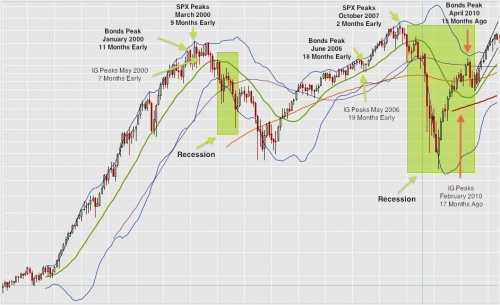 That was exactly the Jackass forecast, QE to follow 0% stuck. They combined the ZIRP with the QE. They added the debt monetization scourge of Quantitative Easing to the already reckless no cost money of the Zero Interest Rate Policy. The current ruse disseminated widely is the End of QE2 and no continuation of Quantitative Easing (aka debt monetization). The ruse has no basis at all in reality. The USFed would have to find buyers for the USTreasury Bonds. They have been buying 75% to 80% of USTBonds since the end of 2010. They have been supporting the US housing market by purchasing mortgage bonds. In other words, they have been preventing the more complete implosion of the mortgage market. It is one thing for the USTBond to go No Bid. The USFed has the direct responsibility to cover that up quickly and proclaim every USTreasury auction a rip-roaring success with great 2.3 bid to cover ratio. But it is another matter altogether to permit the mortgage rates to fly upward from lack of bids. If mortgage rates move to 7% or the adjustable ARM mortgages reset 3% to 4% higher suddenly, then housing prices will descend by another 10% to 15% quickly, as in with lightning speed.